Pete has acquired another classic clock from a vintage Main Street business! Check it out over on his page! Pete Lewnes represented the Laurel History Boys well last Saturday morning, as he participated in the 15th annual Tom’s 5k Reindeer Run—a charity race that raises funds for Sarah’s House in memory of Tom Linsenmeyer, who took his own life in 2001 at the age of 17. The annual West Laurel race—a fitting tribute to a young man who was both a fierce competitor and a gentle soul—raised over $7,000 this year! The money will be used to support local women and families in need, and will undoubtedly make a real difference this holiday season. This wonderful event is open to runners and walkers alike, and Pete finished with a respectable time of 00:49:21. Laurel has developed a nice little niche of charity races in recent years, including the new McCeney March, in memory of the late Jim McCeney. This was our first event of its kind, but we look forward to supporting (and participating in) more in the coming year! Pete shares a handbill from the Laurel Theatre on Main Street, which premiered the Shirley Temple classic, “Bright Eyes” 81 years ago today. You can read more about it on his page. 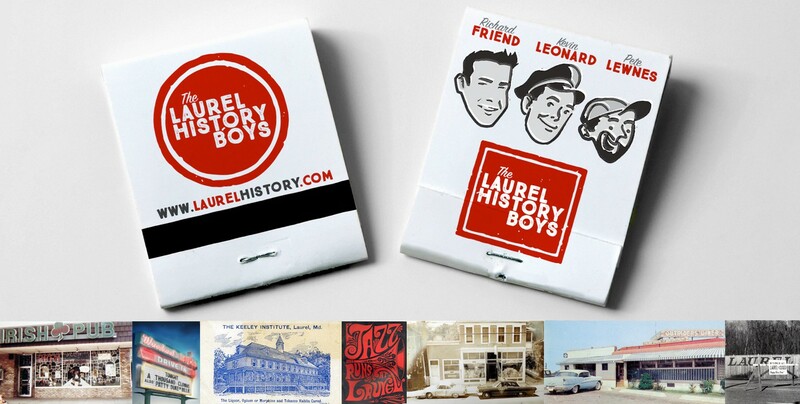 Pete recently found a vintage matchbook cover from the Vogue Dress Shop on Main Street—which, believe it or not, was located in the very same building that has housed the Laurel Meat Market for decades. Somehow, it had made its way around the globe to New Zealand. It now has the distinction of having traveled the greatest distance to become part of his collection. Check it out over on his page. Seventy-six years ago tonight, “Gone with the Wind” premiered in Atlanta. Laurel’s original movie theater gave it the grand treatment for both its initial release in April 1940 and for a re-release in 1961 honoring the Civil War Centennial. Pete has shared some artifacts from both on his page, which you can see here.